​Nicolaus Yost was born on August 21, 1843 in Norka. He married Anna Katharina Bartel on February 11, 1864 in Norka. 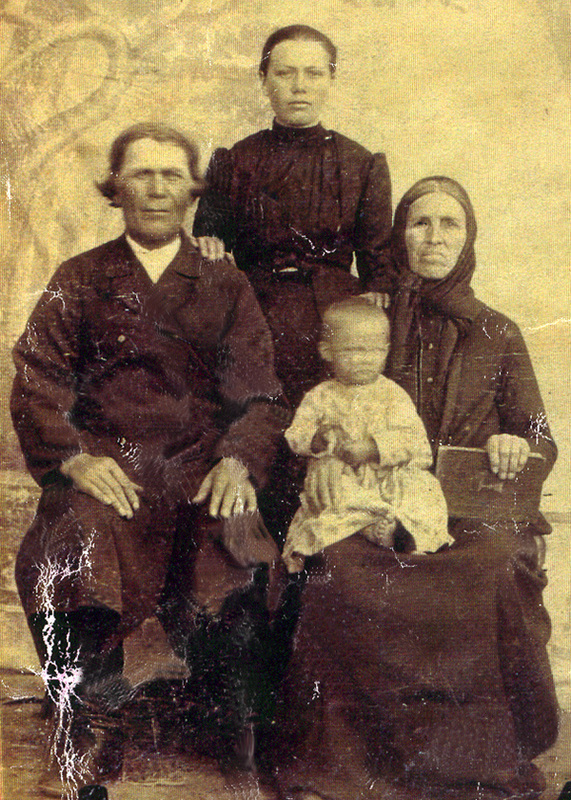 Anna Katharina was born in Norka on August 7, 1845. Nicolaus Yost and Anna Katharina Yost (née Bartel). Their daughter, Magdalena Elisabeth Yost stands between her parents. The identity of the child is unknown. Photograph courtesy of Gary Hubbard who is the grandson of Magdalena Elisabeth Yost. ​Nicolaus and Anna Katharina's daughter, Magdalena Yost, was born on August 13, 1870 in Norka. The family immigrated to the United States and settled in Colorado. Portrait of Magdalena Elisabeth Yost. Photograph courtesy of her grandson, Gary Hubbard. 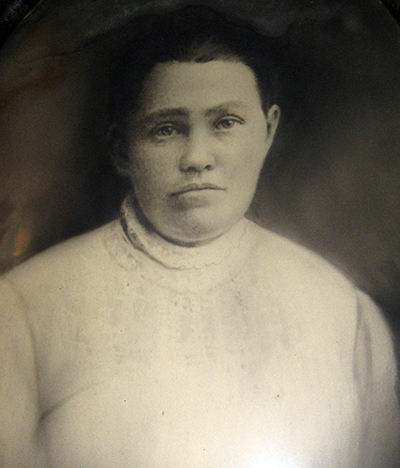 ​Magdalena married Conrad Wolf in Globeville, Colorado on March 27, 1892. Conrad Wolf was born in Norka on January 27, 1869. 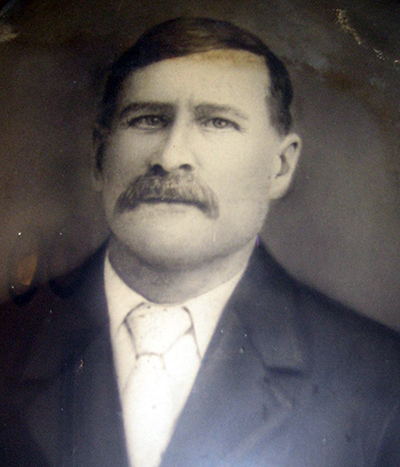 His parents were Conrad Wolf Sr. (born October 30, 1834 in Norka) and Anna Maria Sauer (born October 1839 in Norka). Portrait of Conrad Wolf. Photograph courtesy of his grandson, Gary Hubbard. 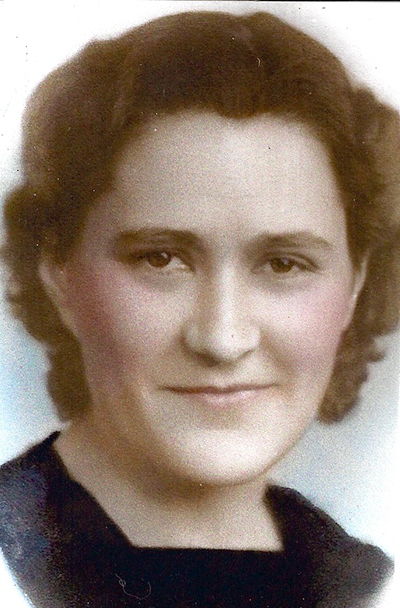 ​Their daughter, Helen Louise Wolf, was born on December 21, 1912 in Windsor, Colorado. Helen Louise married Charles Walter Hubbard on September 14, 1940. ​Magdalena and Conrad's marriage produced eight more children: Henry Conrad, Marie, Lydia, Annie, Freda, Jacob Conrad, Elizabeth and John. 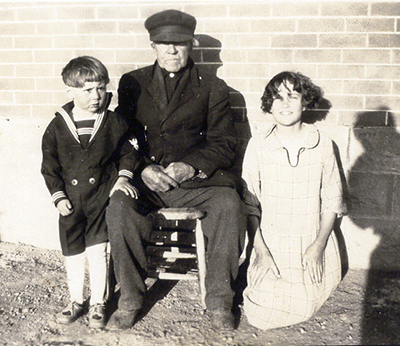 From left to right: Melvin Hoffner (Elizabeth Wolf's son), Conrad Wolf, Sr. and Helen Louise Wolf. Photograph courtesy of Gary Hubbard. The Magdalena and Conrad Wolf siblings. 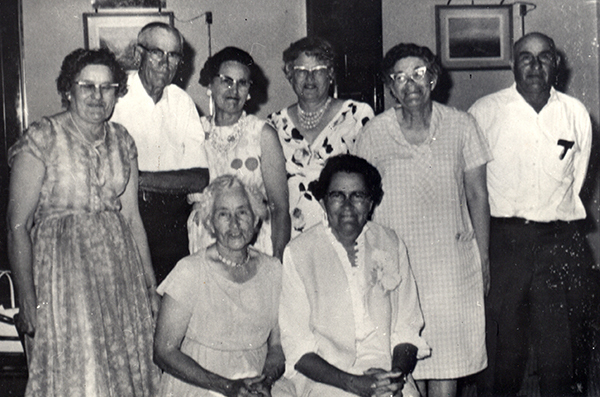 Standing from left to right: Marie Wahlquist (née Wolf), Henry Conrad Wolf(e), Lydia Carlson (née Wolf), Annie Poulson (née Wolf), Freda Peterson (née Wolf), Jacob Conrad Wolf(e). Seated from left to right: Elizabeth Hoffner (née Wolf) and Helen Louise Hubbard (née Wolf). Photograph courtesy of Gary Hubbard. Photographs and information contributed by Gary Conrad Hubbard (June 2014).